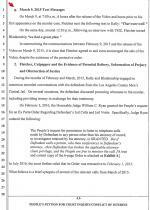 JANUARY 30--In another tawdry case of checkbook journalism run amok, the gossip web site TMZ paid $55,000 to cohorts of Marion “Suge” Knight for sealed court evidence, a financial windfall that Knight and his associates apparently earmarked for the bribery of witnesses in the pending murder case against the former rap music mogul. The sale of the evidence to TMZ has resulted in the indictment of Knight’s girlfriend and a business partner on felony conspiracy charges. Additionally, two of Knight’s former lawyers were arrested last week for allegedly acting as “accessories after the fact” in connection with the alleged bribery scheme. 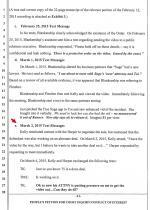 While the deal to purchase the sealed court evidence was overseen by TMZ founder Harvey Levin, the web site was represented in direct negotiations with Knight & Co. by Raquel Harper, a veteran TMZ producer. 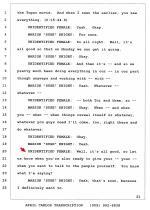 As if orchestrating a drug buy, Harper, 35, spoke in code while discussing the illegal deal with the incarcerated Knight, whose jailhouse phone calls are recorded by prison officials. 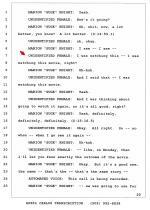 A spokesperson for the Los Angeles County District Attorney declined comment when asked whether TMZ or any of its representatives were being investigated in connection with the web site’s central role in the plot to purchase and publish sealed surveillance video. Knight, 52, has been locked up in the Los Angeles county jail since late-January 2015, when he was arrested for a hit-and-run that left one man dead and a second man hospitalized. 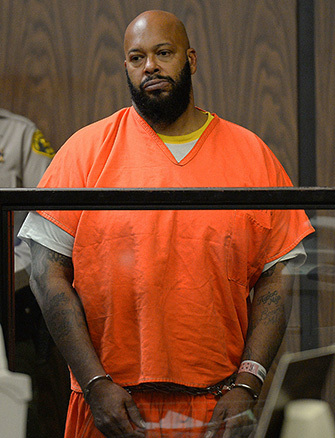 The incident outside Tam’s Burgers in Compton resulted in murder, attempted murder, and hit-and-run charges being filed against the former Death Row Records boss. Knight, whose career has been marked with repeated violence and mayhem, contends that he was acting in self-defense when he drove over the two men. Knight claims that he was the target of an “ambush” and that one of the victims had a gun in his hand. 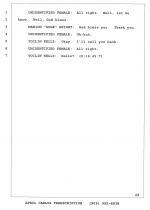 Following Knight’s arrest, TMZ posted an “Exclusive” stating that surveillance footage of the incident did not exist. 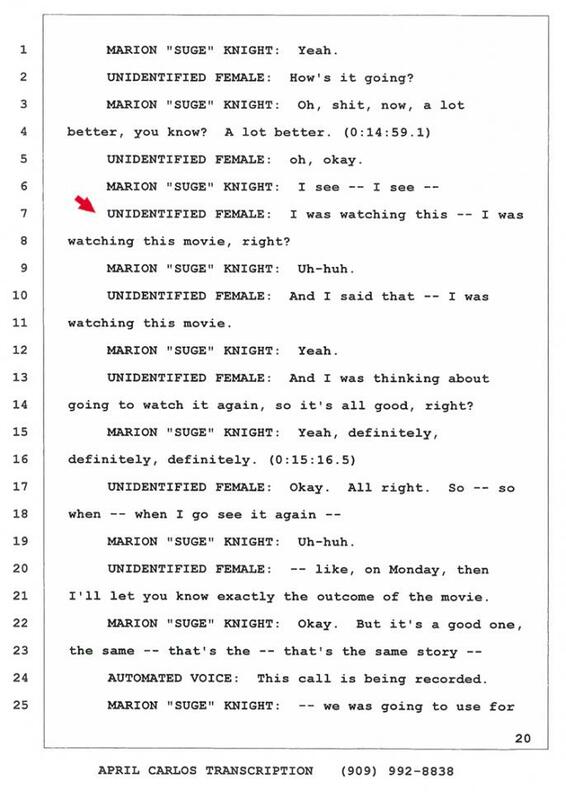 While Knight believed that such video would exonerate him, TMZ reported, a security camera outside Tam’s Burgers was inoperable, while cameras mounted to the exteriors of a bank, pharmacy, and chicken restaurant nearby were not pointed towards the burger joint’s parking lot. “Law enforcement sources tell us they also checked and came up goose eggs,” the site added. As with many TMZ stories, this February 1 dispatch was completely wrong. Video of Knight running over and killing Terry Carter, 55, with his Ford F-150 Raptor truck was, in fact, recorded by a security camera outside Tam’s Burgers. 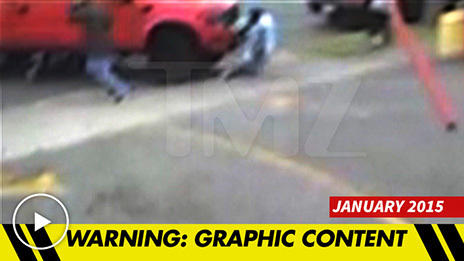 The footage also showed Knight driving over Cle “Bone” Sloan, who only suffered minor injuries. A copy of the video was given to Knight’s lawyer on February 9 by the district attorney’s office in fulfillment of the prosecution’s discovery obligations. 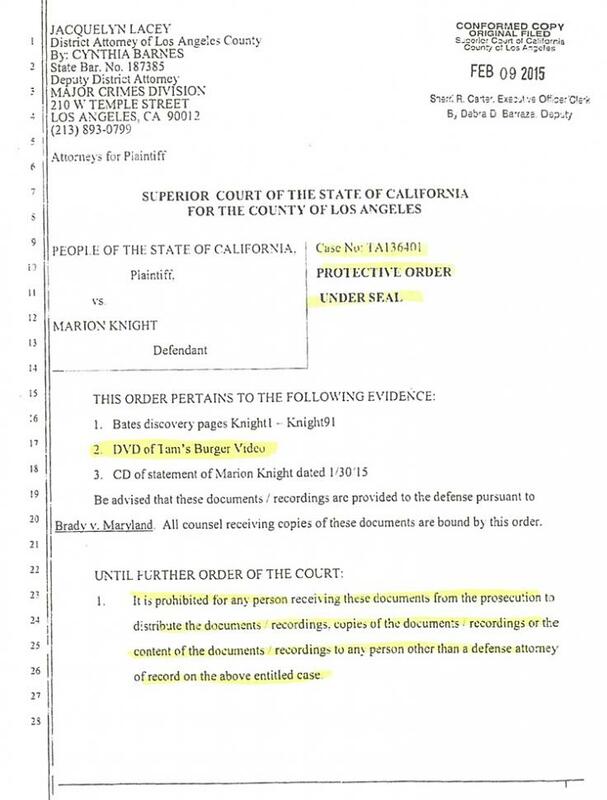 Simultaneous to the provision of the video, a Superior Court judge issued a protective order stating that only Knight’s attorney of record, David Kenner, could possess a copy of the video (though the lawyer could share it with a defense investigator in the course of trial preparation). 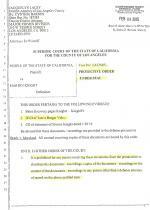 Within two days, however, Knight’s cronies began negotiating with TMZ, in direct violation of a standing court order. As with most matters of importance at TMZ, the purchase of a snuff film like the one recorded outside Tam’s Burgers required the guiding hand of Levin, the web site’s front man. The 67-year-old Levin, a former TV journalist, is primarily responsible for pricing material offered for sale to the gossip site. Harper is TMZ’s leading authority on the rap world’s feuds, familial dramas, and lavish lifestyles. Harper and Levin are pictured above. On February 11, TMZ reported on the existence of the Tam’s Burgers surveillance video and quoted “Our Suge sources” as saying that the footage showed Sloan pointing a gun “ominously” at Knight. TMZ added that after Knight ran over Carter and Sloan, “someone walks over and takes the gun” from Sloan’s hand. However, witnesses told police that they saw no guns at the hit-and-run scene. 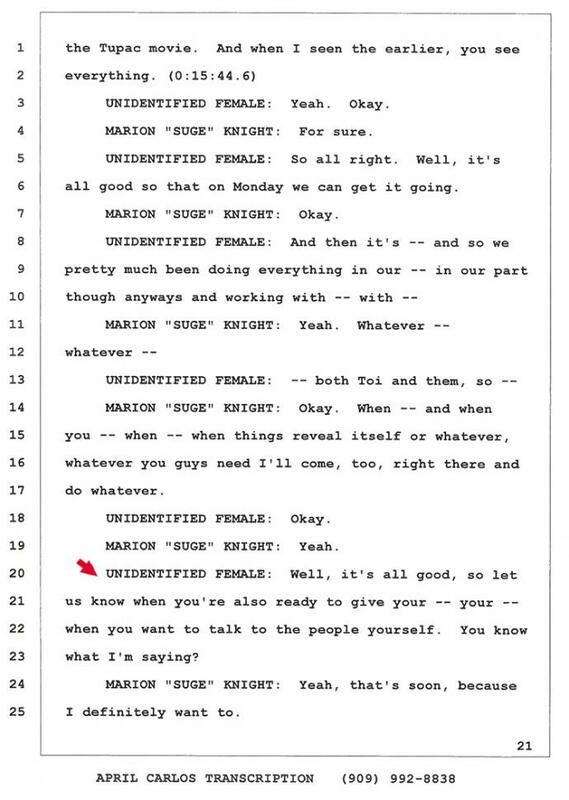 Additionally, Knight never mentioned weapons when he was interviewed by cops the day after the deadly incident. In text messages to Harper on February 12, Kelly wrote, “I can’t wait to get this video to you.” She also promised to hand over the footage once it was “enhanced” for viewing clarity. Later that day, Kelly engaged in a conversation with Knight and Mark Blankenship, a business partner of Knight’s. Blankenship, 57, is a former attorney who resigned from the bar in 2006 after admitting to 17 acts of misconduct (for which he was suspended for nine months and placed on probation for five years). 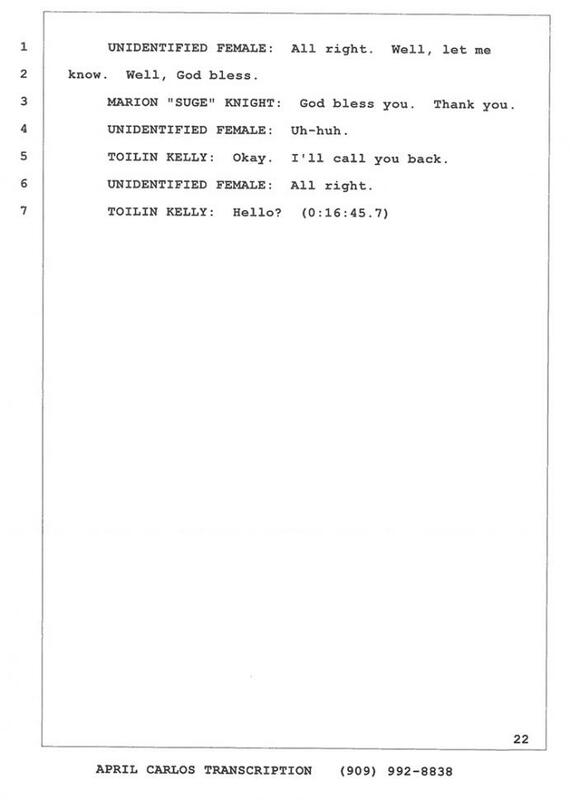 During the three-way call, Knight and Kelly talked in code about the sale of the video (and appeared to refer to a prior financial transaction with TMZ). The couple believed that the video would fetch them between $100,000 and $150,000. “Yeah, definitely, definitely, definitely,” Knight replied. “So when, when I go see it again like on Monday, then I’ll let you know exactly the outcome of the movie,” Harper said. 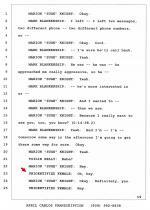 At that point, a recorded message interrupted the conversation to declare that the prison call was being recorded. In a subsequent text, Blankenship acknowledged the existence of the court order barring the video’s sale and/or distribution. He directed his assistant to not share the video with a public relations executive. 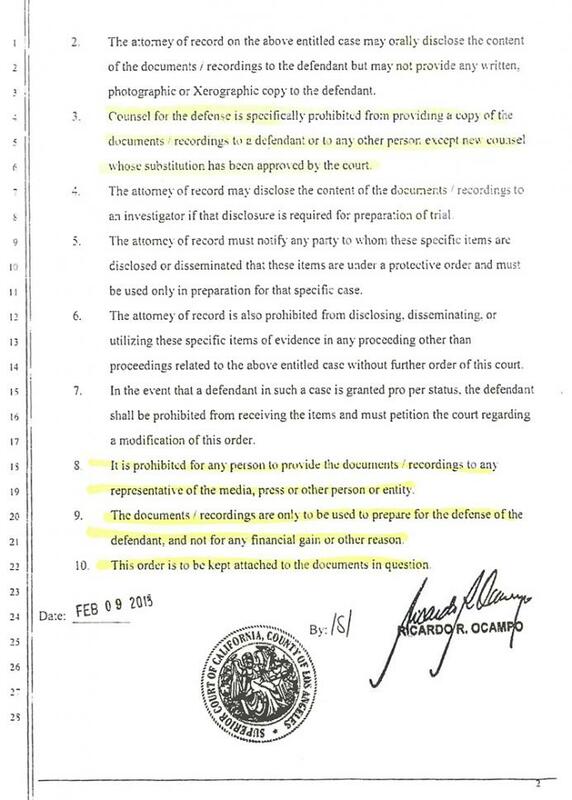 “There is a protective order on the video. 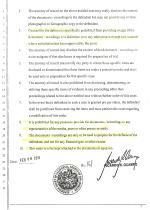 Issued by the court,” Blankenship wrote. 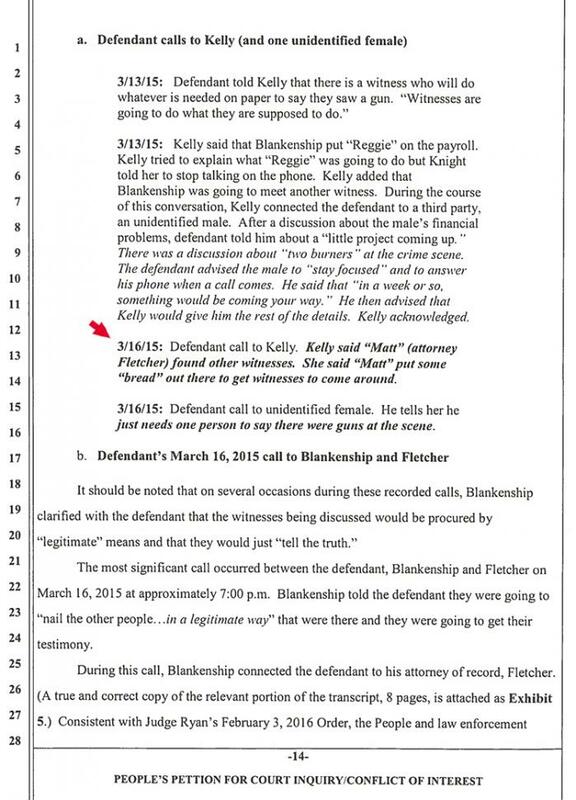 In a March 1 text, Blankenship told business associates that Knight’s fiancée had the video, claiming that “we maneuvered it out of Kenner,” Knight’s longtime lawyer. “New attny says ok to release it,” Blankenship said in reference to lawyer Matthew Fletcher, who had just taken over as Knight’s defense attorney. Within days of Blankenship saying that Knight’s new lawyer had approved the video’s sale, Kelly texted Harper to say that she had possession of the video, “but I believe he wants to take another deal on it.” Harper responded by requesting an immediate meeting with Kelly. 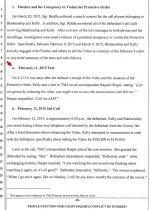 Investigators uncovered details of the video’s sale to TMZ after launching separate probes to examine Knight’s use of prison phones to conduct illegal activities and alleged attempts by Knight’s legal team to “cultivate” witnesses to “testify falsely for the defendant’s benefit,” according to a court filing by prosecutors. 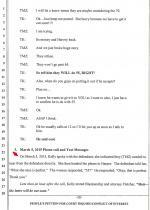 A search warrant for cell phones used by Blankenship and Kelly turned up numerous incriminating texts, including exchanges with TMZ’s Harper about the Tam’s Burgers surveillance video. The phone records, a deputy D.A. 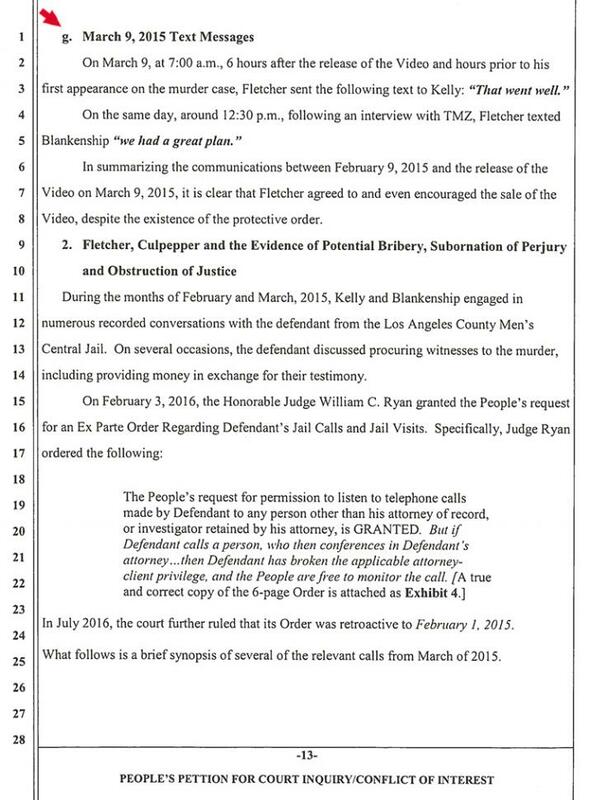 charged, revealed that Blankenship and Kelly “actively engaged” with Fletcher and others to “sell the Video in violation of the February 9 court order.” Fletcher, Knight's attorney, not only agreed to the sale, but encouraged it, the prosecutor alleged. 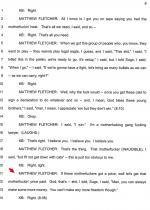 Fletcher went on to say that he would pay witnesses $100 an hour, but “the first person there is the one who gets the money.” He added that, “I’ll pay anything” to get two or three witnesses to support Knight’s account of the hit-and-run incident. 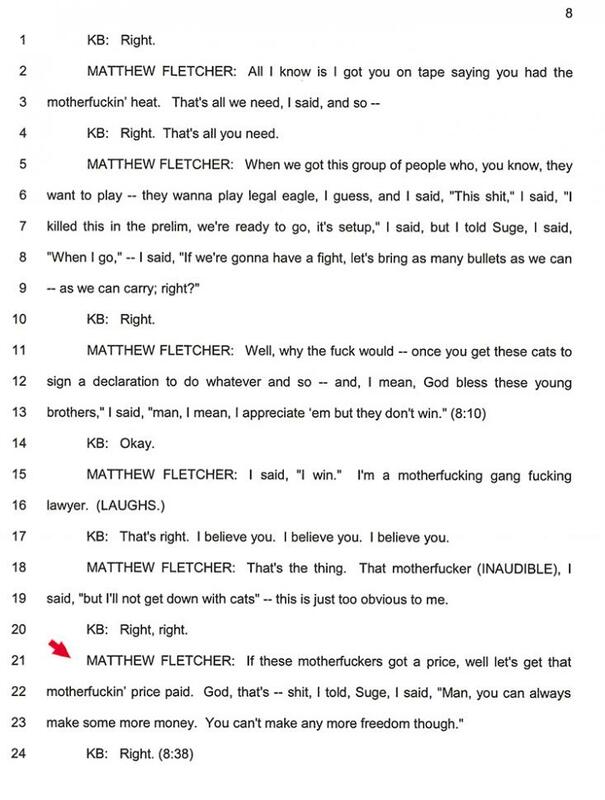 “That’s a fair investment, you know, $20, $25,000 to pay these motherfuckers” to get Knight home, Fletcher declared. Investigators allege that a second attorney, Thaddeus Culpepper, conspired with Knight to secure perjured testimony from a man they knew was not present when Knight ran over Sloan and Carter with his truck. In a court filing, prosecutors alleged that for Culpepper “to secure this testimony, money would have to exchange hands.” Such an arrangement “is the essence of bribery,” prosecutors stated. With Knight’s murder trial set to open soon, the investigation into the sale of the Tam’s Burgers surveillance video to TMZ has so far netted one conviction. 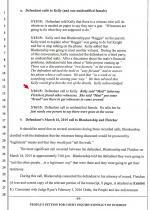 In October, Kelly pleaded no contest to violating a court order by selling the sealed evidence. In return for her felony conspiracy plea, Kelly was placed on probation for five years and directed to perform 100 hours of community service. She was also ordered to pay $55,000 in restitution to Tam’s Burgers, which owned the surveillance video purchased by TMZ. Kelly--who faced up to three years in prison--has also been barred from having any contact with Knight. Prosecutors have argued that she participated in efforts to bribe or intimidate witnesses in her fiancée’s murder case. Blankenship, Kelly’s codefendant, has pleaded not guilty to three felony charges: conspiracy to violate a court order, conspiracy to obstruct justice, and conspiracy to commit grand theft. He is free on $45,000 bail.